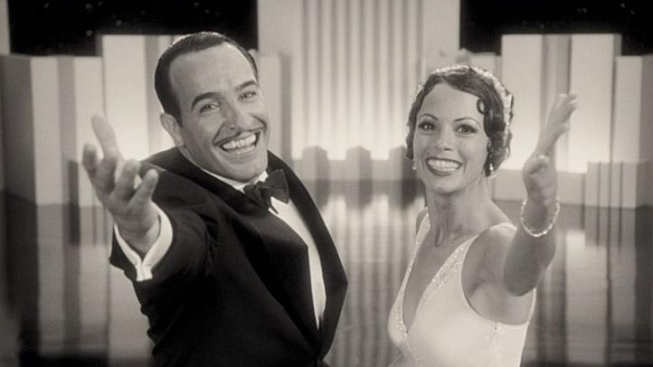 Well, "The Artist" cleaned up at the Golden Globes Sunday, this despite the fact that it has yet to gross more than $10 million in this U.S., and despite the fact that Marky Mark's itchy back just stole its lunch at the weekend box office. Let's look at the final chart via Box Office Mojo. Luckily for "The Artist," our little formula is quite amenable to silent French movies that have been seen by a grand total of six people. And so, with a few handy calculations, we can give these poor Frenchies the post-Globes bump they so mildly deserve. VOILA! It was just last week that "The Devil Inside" nearly hit quadruple digits on our little chart, so you can see what a dramatic fall it's had since people realized how bad it is. Also, please note that I adjusted the original 1990 budget for "Beauty & the Beast" ($25 million) for inflation, to a grand total of $40 million, still a bargain by today's standards. Expect a LOT more 3D retrofits of Disney classics on the way. Hey, you were silly enough to plunk down money for them. Such is the desperation of a parent during a slow Saturday. Also, look for "Contraband" to fall quickly thanks to poor critical reception and the coming arrival of "Haywire" to properly satisfy America's buttkicking needs.